If you, too, are converted to the idea of a meadow instead of a typical lawn, this is the way to go about it. First assess your site. If you have a twenty-five to fifty-foot stretch of fringe growth or wilderness area anywhere, you could let part of it go even wilder and enjoy there some of the meadow flowers. If you own a larger field, you are really set. You might even consider letting part of the actual lawn grow into meadow—it would mean lots less upkeep and a new kind of gardening for you. More lawn info can be found at http://gardeninginfo-online.com. Of principal importance: Don’t mow the area till late August. Observe the area from spring on and see what plants come up by themselves. This interval will also allow what comes up to go to seed. All through the first season note and mark areas where no flowers come and where you’d like some. Plan then to sow these areas the next spring. In naturalizing meadow flowers your eventual goal is not a half dozen of anything but a hundred or, preferably, a thousand. Only Nature can be this lavish in planting (to buy even fifty plants would be prohibitively expensive), so you start with a few plants which, once established, will reseed by themselves. You can transplant anything at any season if you follow these few suggestions. Here’s a very important point: study the site where the plant you want is growing and then provide in your landscape an environment reasonably similar as to location, sun or shade, slope of land, moisture or dryness, rich or poor soil. However, some plants will thrive in various locations, and this invites you to experiment. If you possibly can—by referring to advance weather reports (or simply by hunch)—plan to dig the plants just before a rainy spell. You’ll need a sharp spade, really sharp. 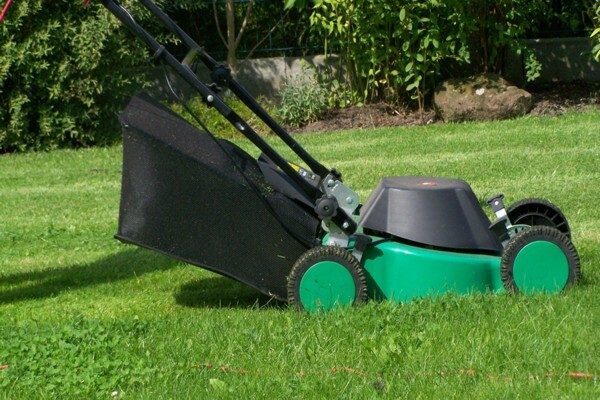 If it is dull, have it sharpened, so you’ll be able to cut into dense field sod with ease. A sturdy fork may be advisable, too. When you lift the plants to take them home, take as much soil as you can with each one, disturbing the roots as little as possible. If you are transplanting on a sunny day, wait until late afternoon or early evening to settle the newly dug clumps of plants in your meadow. If you can, soak the soil first, this softens the earth and facilitates digging. When you do dig planting holes —and this is really a matter of turning back a large hunk of meadow sod—loosen the soil a spade depth beneath, and then set the plant. Often two or three plants can be spaced out in the same hole. Even the holes should be close, a mere few inches between them. This way the new plants can grow thickly and present a solid front to encroaching grasses. And now for the most vital point. Before you fill in with dirt and fold the sod down again, pour water in the hole. It is not enough to plant them all and then water the top of the ground. The water must be in the soil, under and all around the newly set roots. Then, water daily until new growth commences, or until the leaves feel stiff with renewed vitality. If, with luck, a three-day rain comes on the heels of your planting, you may not need to water for quite a while after the original soaking. Even if you plant in the rain you must soak the soil in the hole. If a drought comes along during the next few weeks, water all the new plantings as needed. It is most satisfying to collect plants in flower. Those we have successfully moved in midsummer and in midbloom include bouncing bet, pentstemon, and bellflower. When you dig up mature plants, do not be concerned if the surrounding grass is tall and tangles with them. It is only with young seedlings that you need to bother about removing weeds and grasses from the soil clump.